When the Ski Gods slammed tectonic plates together and formed the Rocky Mountains 55 million years ago, they had in mind the goal of creating lavish runs, where their worshipers could enjoy more than a 10-second swoosh as in most areas of the rest of the continent-to-be. They envisioned beautiful peaks, intoxicating views, and numerous venues to be enjoyed. Mission accomplished. Colorado is known worldwide for its spectacular skiing destinations, and for good reason. 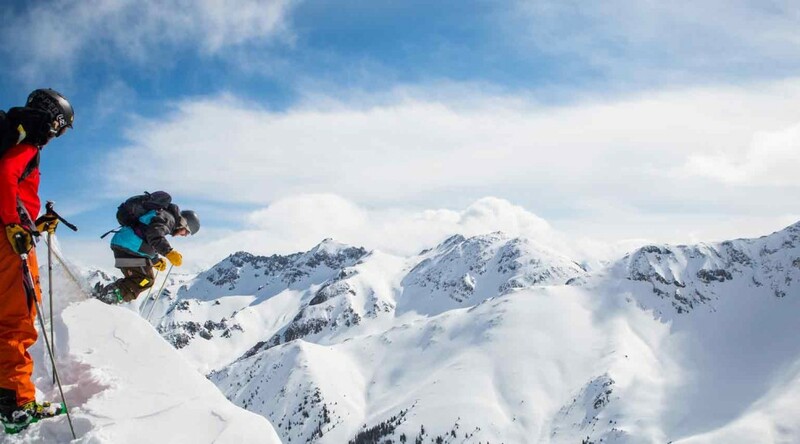 Boasting Twenty-Six different ski resorts and over 300 days or sunshine per year, the State cannot be beat for its combination of blue skies and fresh dry powder. And, depending on where you are and the time of year, the Rockies in Colorado offer the opportunity to ski and golf—in the same day and a short car drive away. If one is so inclined, there are casinos nestled in the hills in historic towns like Central City and Blackhawk. Talk about a vacation! Don’t let your amateur status or inexperience stop you either—there are scores of skill level opportunities from the bunniest of slopes to the steepest of downhills. On the eastern side, Breckenridge is 90 minutes from Denver. You can enjoy all the big city has to offer and then hop onto I-70 and head west—you’re there in no time. Or you can opt for the Western Slopes where the sun shines a little bit later and you stand a better chance of rubbing shoulders with the Rich & Famous in elite ski venues like Vail and Aspen. Colorado ski resorts offer package deals with other resorts, so you can try out the runs on different hills without busting out the credit card again. The locals love these packages and they are a great deal for the visiting skier or snowboarder as well. And when the skiing is done for the day, the hot tubs, bars and nightclubs are open for business. If you’re not a big ski bum, hanging around the Chalet and drinking hot toddies is an acceptable way to pass the time (You can lean on the bar, drink in hand, and weave tales of how you “got a bum knee” and would otherwise be out there on the runs). Most resorts have a big season, often stretching from early October all the way to late April. The altitude makes for awesome powder and smooth & fun runs. In addition to the most thrilling runs in North America, Colorado also offers a host of Cross Country Ski loops and terrain. If you’ve never been, X-country is exhilarating, you will get your fill of awesome cardio and fresh air—and you will sleep like a hibernating bear. Whether downhill skiing, snowboarding, or cross country, Colorado is the skiing Mecca of the continent and you are guaranteed to have a great visit.